And today's mass of yarn, I hear you ask? Well, far be it from me to disappoint! 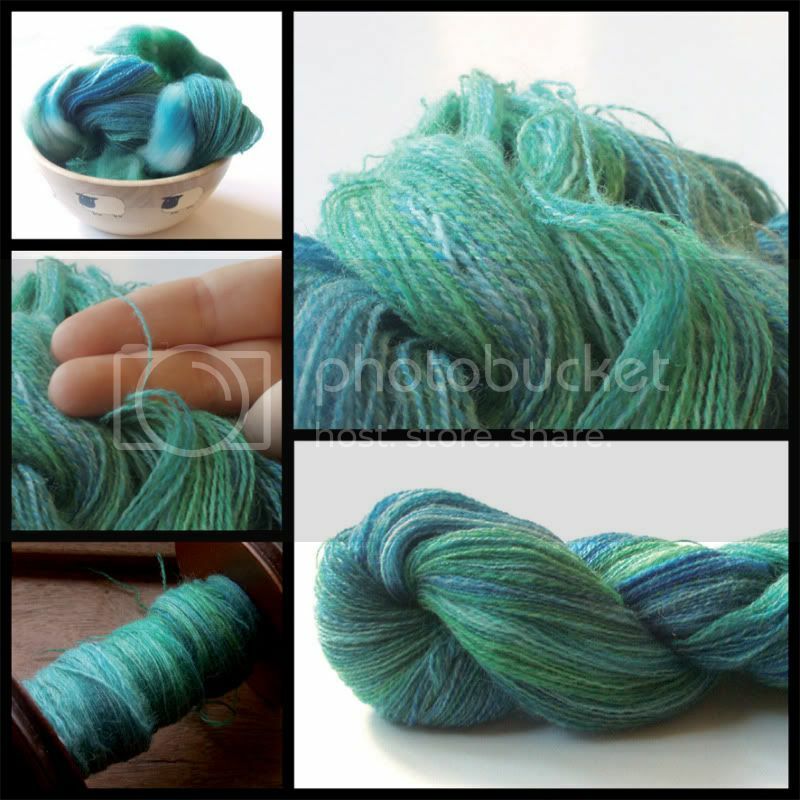 Presenting a lovely mess of Laura Hogan Merino, spun lovingly into lace-weight/4-ply. Laura Hogan's Etsy shop is giving 15% off to TdF participants, so get in there and get something lovely now! This looks just like jumping into the sea. Lovely. oooh, wow! this is fab! Hi. 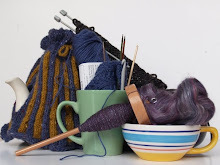 I'm from the Ravelry search party and I'm helping to classify patterns. Your Rock Band Drumkit cozy is on my list. Can you possibly point me to that pattern so that I can review it? Thanks so much.